The American who was killed when a boat exploded in the Bahamas this weekend was celebrating her wedding anniversary with her husband. Maleka Jackson was killed and nine were injured when the small tour boat exploded off the coast of Exuma on Saturday. Jackson and her husband, Tyran Jackson, had booked the trip to celebrate their 15th wedding anniversary, according to Jackson's father, Malvin Grimes. Tyran Jackson was among the injured, suffering burns, Grimes said. 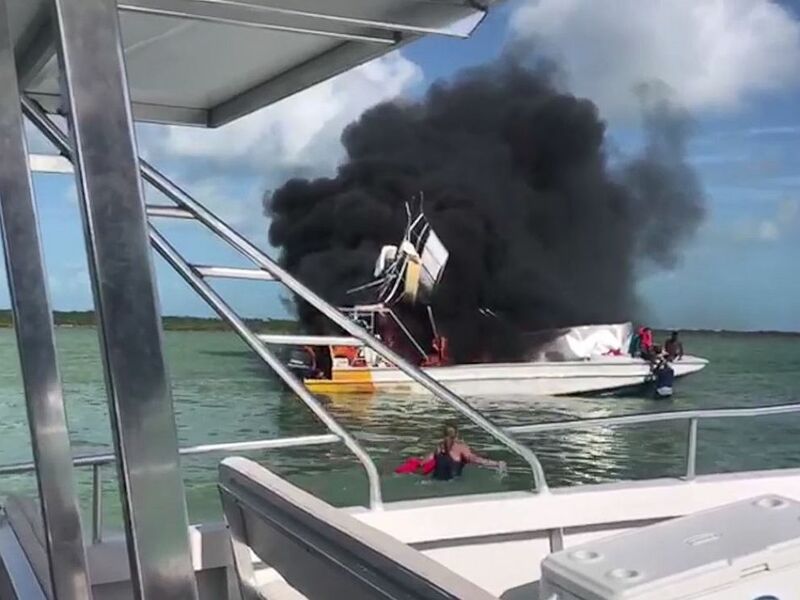 People on a neighboring boat attempted to rescue injured passengers from the explosion off Exuma in the Bahamas on Saturday, June 30, 2018. 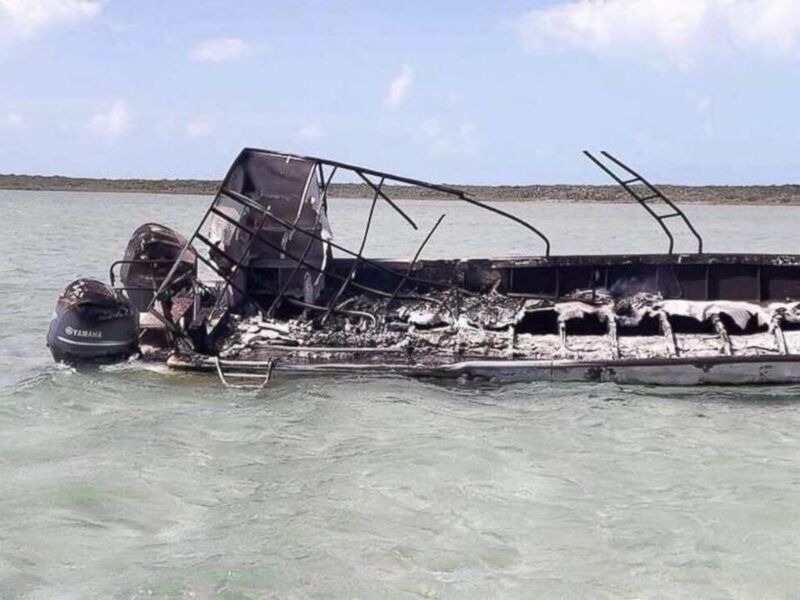 All that remained of the boat after the explosion near Exuma, Bahamas, which killed one person, was a burned out frame. There were 12 people on the boat -- 10 Americans and two Bahama natives -- when it exploded at about 9 a.m. Saturday. 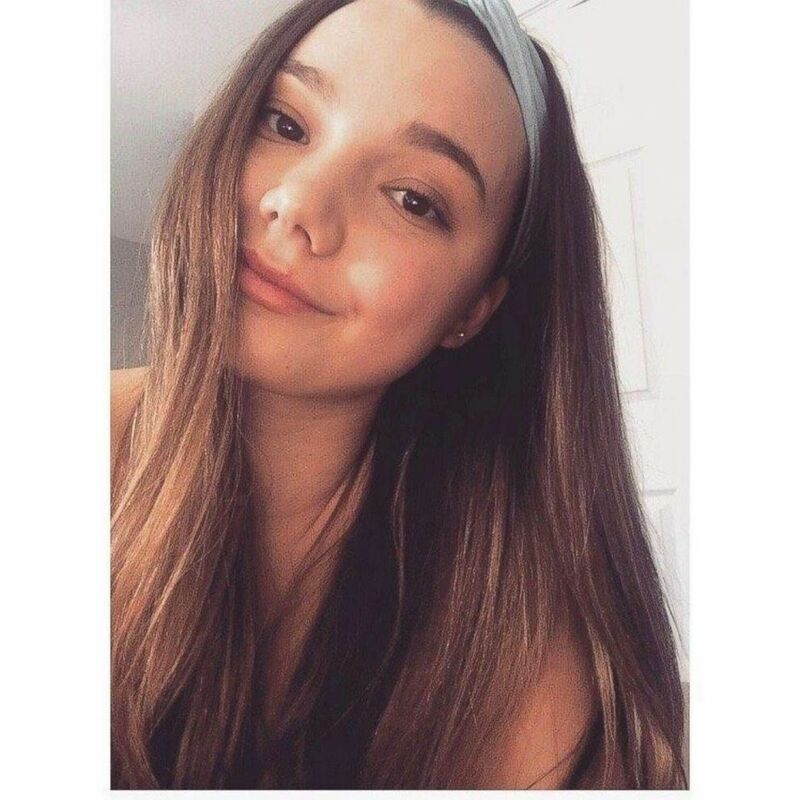 Among the injured was 22-year-old Stefanie Schaffer, who had to have both of her legs amputated, according to her brother, George Schaffer. Stefanie Schaffer, 22, had both her legs amputated after the boat she was riding in exploded in the Bahamas on Saturday, June 30, 2018. Her mother was also seriously injured. She had "danced her whole childhood," George Schaffer said. She is in critical condition in a medically induced coma at Princess Margaret Hospital in Nassau, George Schaffer said. Stefanie Schaffer's mother, Stacey Bender, was also seriously injured, suffering multiple broken bones and internal injuries. 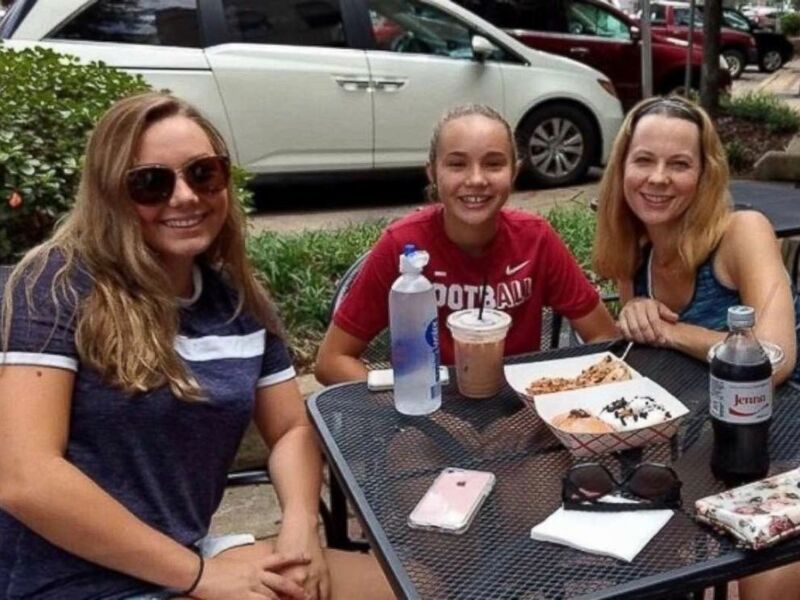 Stefanie, Brooke and their mother Stacey, from left to right, were injured in a boat explosion in the Bahamas on Saturday, June 30, 2018. Stefanie and her mother suffered severe injuries. George Schaffer said he and other members of the family from Rutland, Vermont, were traveling to Nassau to be at his sister's and mother's sides in the hospital. "Hang in there Stef I’m on my way," he wrote on his Facebook page. Video filmed from a nearby boat showed panicked tourists jumping into the shallow water in an attempt to rescue passengers in the burning boat. Thick, black smoke was pouring into the sky and large flames were still shooting from the disabled craft. ABC News' Doug Lantz contributed to this report.